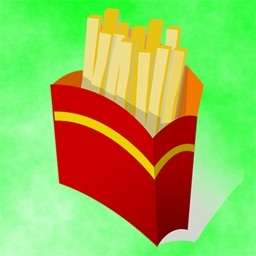 WHAT ARE THE ADVANTAGES APPLICATION Book and Eat? - Do not know where to go? 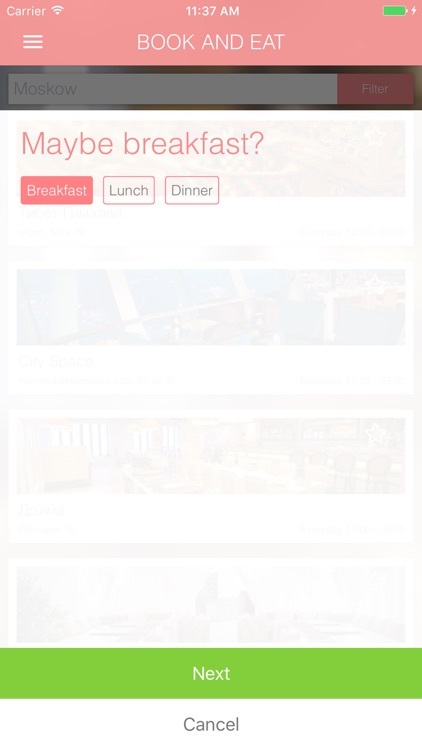 Just one touch - and you can view the best restaurants nearby. - A large number of photos and a detailed description of services to help you find the perfect option. - No need to write or search the phone number of your favorite places, all contacts available to you directly in the application. 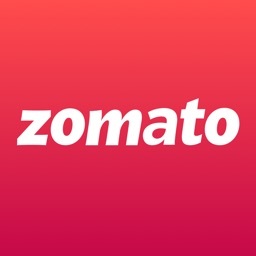 - If you are using Book and Eat for you available restaurants within a radius of 1 to 100 km and even the ability to see and order a table in another city. 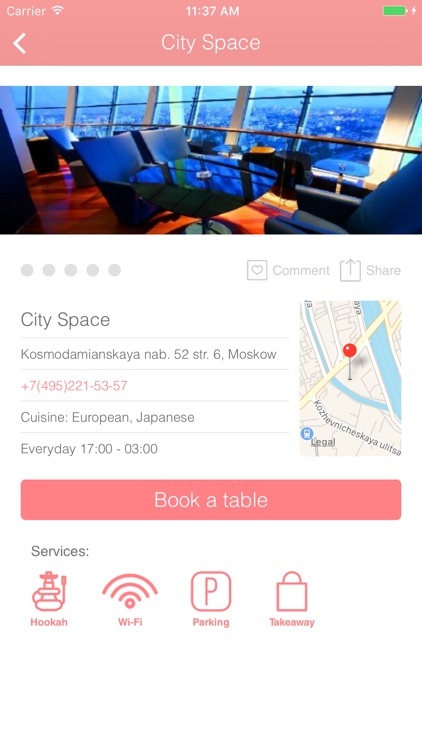 - Search by city, name of the restaurant - or find a nearby option with one touch. 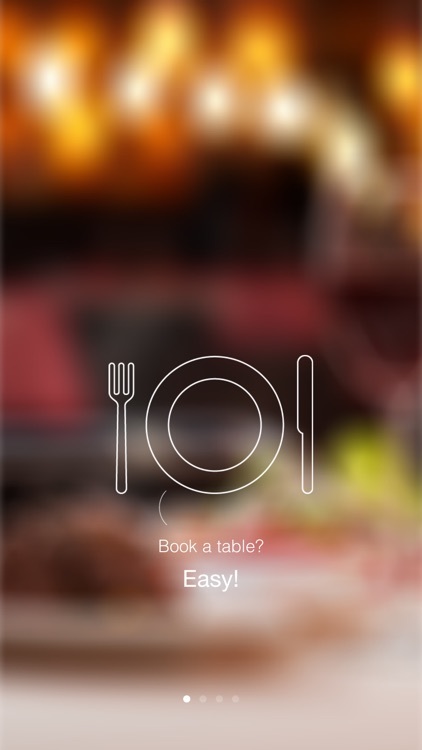 - Electronic assistant will help you to find any restaurant of your choice, in a few clicks. - Identify the most suitable option with a convenient filter: state your preferences, kitchen or services (for example, a swimming pool, free WiFi, parking). 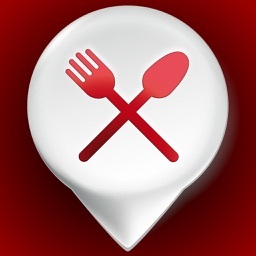 - Switch on the maps that have a route or find a restaurant on the map. - Photos will help you to create a picture of the interior. 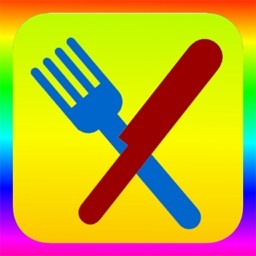 - You can also save your favorite restaurants in the personal lists that would have quick access to your favorite establishments. - The application is available in several languages. 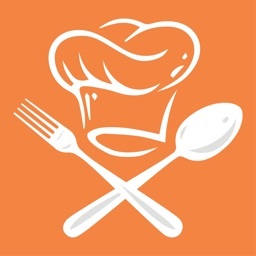 - Exclusive offer: you are the first to get access to great deals at restaurants and hotels all over Ukraine and the world. 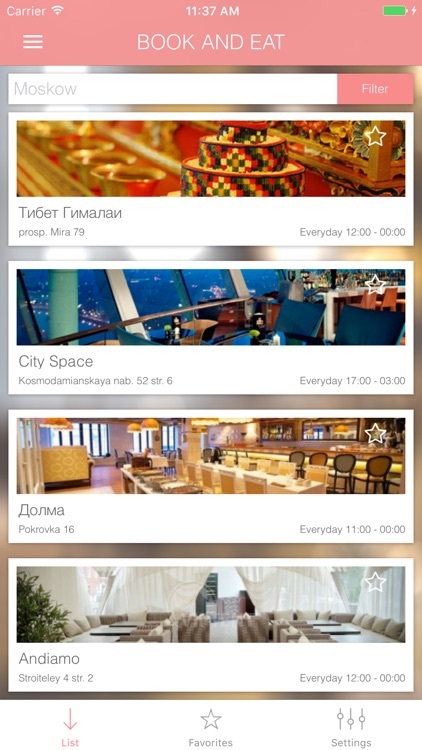 - Smart suggestions: Look for places with the help of the assistant and it will select the best option. - Do not know where to go with friends ? 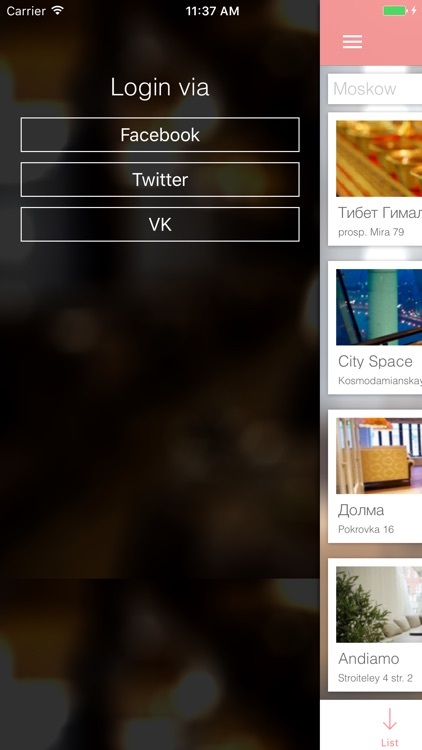 Our application will find you the best places in your location. 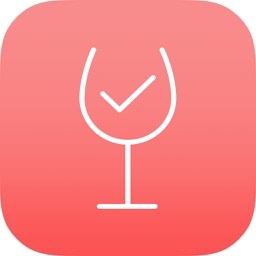 - Quickly and easily navigate to the found object with the help of navigation.